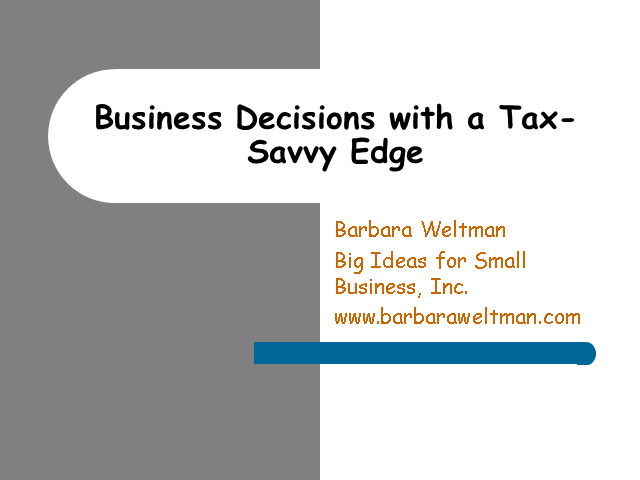 Business decisions should not be driven solely by tax results. However, businesses can improve their bottom line by factoring in the tax consequences of business actions. The session will cover some key areas such as staffing, realty, R&D, and marketing.